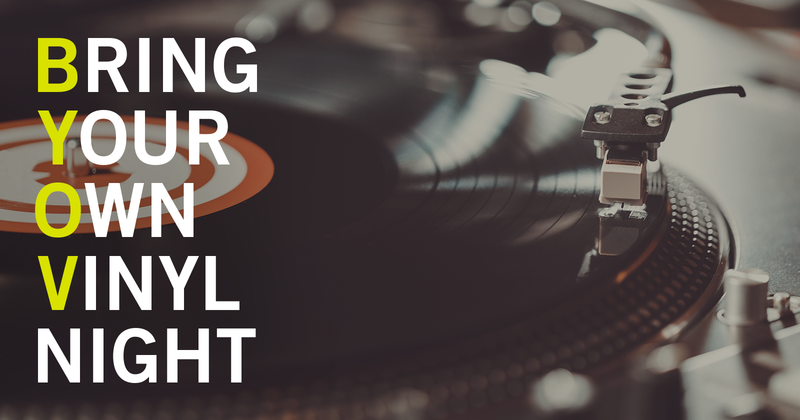 We provide the turntable and sound system, you provide the hits – just bring your favorite records and we’ll get ‘em spinning. Don’t have any records to play? Feel free to come in, hang out, sip some coffee, and listen to great music curated by our awesome community! Be sure to check our events page for our next BYOV event.